Click 'Start' > 'Run' and type 'taskmgr'. Hold 'Shift' + any of the above to open KillSwtich in aggressive mode. 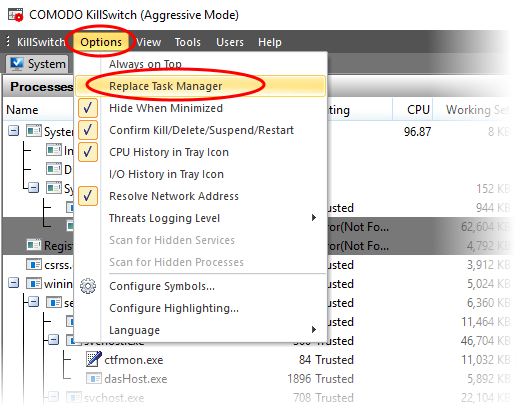 See 'Replace Task Manager with KillSwitch' in 'Configure KillSwitch' for more details.